BlackBerry (BBRY) may not be the hip smartphone giant it once was, but the Canadian business is still alive and kicking based on its new fourth-quarter earnings report. 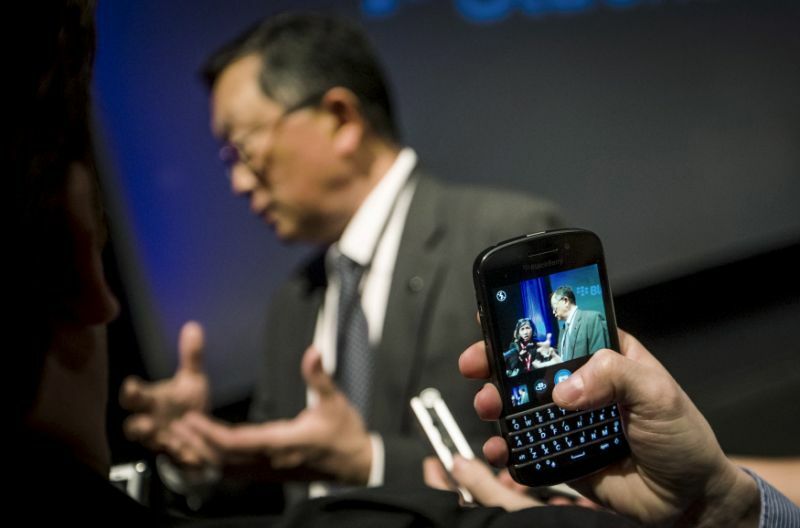 BlackBerry announced better-than-expected earnings for the sixth straight quarter Friday, with revenues of $297 million, beating analysts’ estimate of $289 million. That’s a victory for the company, which ceded its majority market share in smartphones years ago to Apple’s (AAPL) iPhone and Google’s (GOOG, GOOGL) Android devices. A string of smart moves — including the hiring of CEO John Chen in 2013 — over the last five years stabilized the company’s bottom line. Chen, who has a reputation for turning around struggling tech companies like Sybase, set out to reinvent BlackBerry into a software company. That meant outsourcing the manufacturing of its once-popular smartphones to Chinese smartphone maker TCL Communication, which could release up to three branded devices this year. As part of the licensing deal, TCL manufactures the actual devices, while BlackBerry gets a cut from all device sales. Rather than focusing on the “BlackBerry” device itself, Chen capitalized on BlackBerry’s reputation for strong software security to make it an enterprise software provider. BlackBerry, for example, purchased Good Technology for $425 million in 2015 to bolster its ability to help big companies securely manage the devices their employees use. On last week’s earnings call, Chen said BlackBerry processed 3,532 corporate customer orders in the fourth quarter, up 16% versus the previous quarter. And in a report out this week, Credit Suisse research analyst Kulbinder Garcha wrote that he expected the company’s software and services revenues to grow between 13% and 15% during BlackBerry’s fiscal 2018 and 2019. Automotive software could also prove a major area of growth for BlackBerry, thanks to its 2010 acquisition of the QNX Operating Systems, which has been used in everything from routers and in-car dashboards to medical devices by companies such as Cisco (CSCO), General Electric (GE) and Siemens. Papageorgiou estimated that QNX controls more than 50% of the market for infotainment systems in cars, and currently yields about $1 to $1.50 per vehicle in licensing revenues for BlackBerry each year. The company contends it can boost those fees to $5 per vehicle over the next two to three years thanks to more recent partnerships signed with automakers like Ford (F), which will likely use QNX in future self-driving vehicles. “The Ford agreement is a tangible sign that BlackBerry is becoming more strategic with automakers,” wrote Paul Treiber, an analyst for RBC Capital Markets, in a recent report. Meanwhile, the latest version of QNX software, currently in beta form, already has over 60 partners signed up to develop for it, including ARM and Intel (INTC), suggesting healthy interest and support from other third parties.